LugLoc – Know Where Your Luggage is, Always Welcome to LugLoc, the first Luggage Locator in the world. 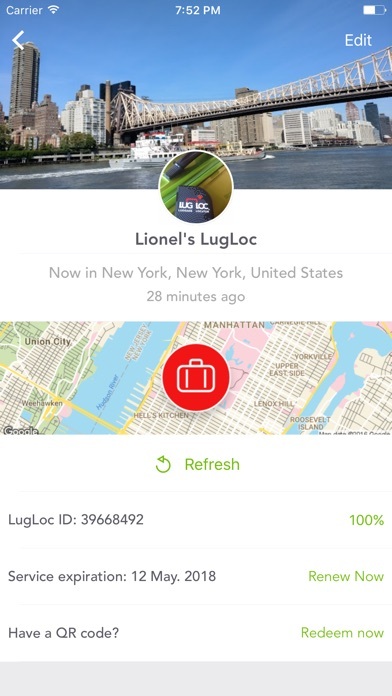 This App works with the LugLoc luggage locator device, which can be ordered at http://www.lugloc.com Every year, over 30 MM people lose their luggage while travelling. 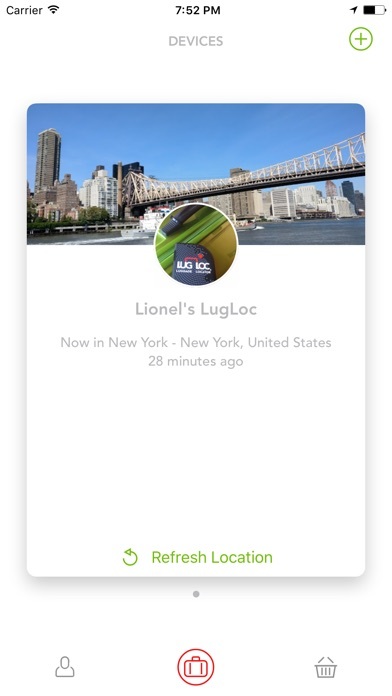 We created LugLoc with one goal: to bring peace of mind to all travelers around the world. We know how carefully you pack your items thinking of when and how you are going to use them in your upcoming trip. We know how much dedication and love you put on buying those special gifts to bring back home. We know how important it is to get your special driver for starting that golf tournament you were preparing for all year. We know how important that guitar that was with you since you were in high school is. This is why we created LugLoc, so you can know where your luggage is, always. Just place this device inside your luggage and dispatch it without worries. You will be able to track it if it is ever lost! 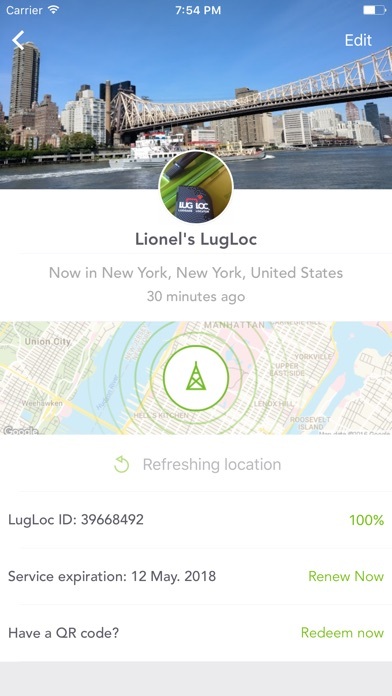 Notes: • LugLoc utilizes GSM/GPRS Technology to triangulate the location of your luggage and then shows you the image on the Map View in your App. 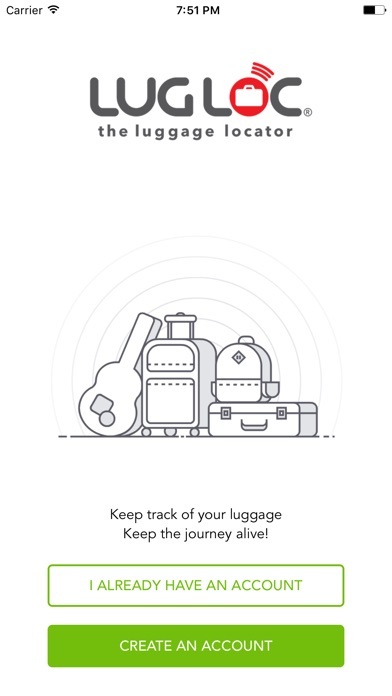 • LugLoc also comes with a Bluetooth feature that allows you to have peace of mind while waiting at the luggage carousel, detecting your LugLoc when it is in range. So far I have been please with the device. I purchased it after have lost my luggage during Christmas two years ago. I visited family in the military in El Paso , TX. My luggage was misplaced for almost a week! I was told it was in Miami , then I was told it was in Tucson. Turnout it never left El Paso!! I had that feeling when the baggage clerk was dealing with an irate passenger when I walked up. I wish I the device then. So far, so good! However, I wish the design was different , it's hard to tell if you have the device on or off. The on and off button is not very clear! Usually a good app and device but most recent update crashes each time. Save your money! I purchased this after seeing it on the today show. I has a monthly fee on top of the 40+ dollar price tag! I paid it twice in hopes that it would work. Horrible setup! App is a bit awkward at best! It uses Bluetooth which has a short range not GPS. I used it on my last trip and went to use it today and the device said I was in North Carolina not Florida which was where I was! There is no phone number for support only email! Save your money! The loc never charged more than 10% even when I left it on the charger overnight. I couldn't check where my luggage was (in the airport) when there was no wi-fi. Overall, it didn't work more than it did. I bought two and I would like to return them. I love LugLoc! I know where my suitcase is within 3 feet! After losing a bag in Mallorca with no hope of finding, I chose LugLoc when I returned home & now know where my suitcase is when I travel. This used to be a great product but after a number of app updates that have downgraded the functionality I would no longer recommend this. I have used two of these for over two years and when they stop working or don't have cell coverage around the world the only support option is an email to customer support who will blame everything except their product. The locator itself works great, as does the app. However, every single time they update the app, it forgets your password. I mean, come on, that's iOS programming 101.